What do you do when life hands you a free peanut butter cookie protein sample? 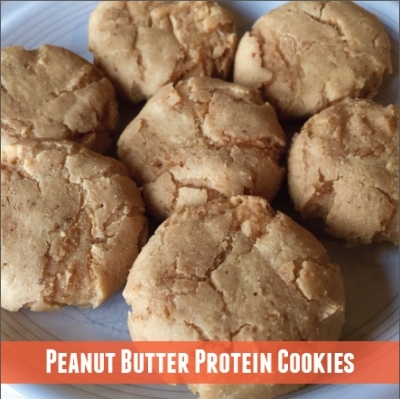 You make peanut butter protein cookies of course! Directions: preheat oven to 350 degrees. place beans and egg whites in food processor and blend until smooth. Add remaining ingredients and blend until dough forms. Form into 9 balls and place on greased cookie sheet. Flatten with fork then bake for 6-8 minutes.